Should we draw the inference from the Archbishop’s review of the movie that he would approve of Americans taking up arms against the federal government of the USA if the HHS Mandate cannot be revoked by political or judicial means? If that is what the Archbishop is saying, then I am not with him. Dear Father, that is a wonderful article you wrote for the movie “la Cristiada.” I myself have seen it four times here in Mexico and it has helped me in many ways in my daily life. As soon as I go home to GA in June I am taking a large group of my American friends to see it. I want everyone to see it! Again I thank you for the wonderful article y QUE VIVA CRISTO REY! At the beginning of the Castro revolution in Cuba many young Catholic Cubans also shouted Viva Cristo Rey! before the firing squads, but now it is not “politically correct” to recall this as the Cuban and US bishops negotiaste with the 53 year old dictatorship. The Vatican also has fallen for this policy even as Castro increases repression of freedom loving Cubans, Catholic or not. But the truth will out and another episode of “mea culpa” will ensue. By the way, I am Catholic and my faith is not shaken by all of this. We know that the Church is far more than the policies of a group of Pastors at a given point in time. “There Be Dragons” really was a disappointment, and especially so since it was set against such a great canvas: the Spanish Civil War. “For Greater Glory” is much more professionally done at every level, with a far more engaging story. It’s well worth the price of the tickets. 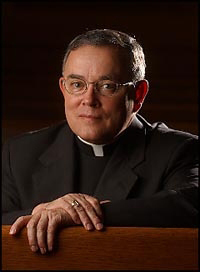 God bless you, Bishop Chaput. I just hope the film doesn’t turn out to be a ‘There Be Dragons’ flip-flop. But you can offer up a bad movie experience as suffering, I guess. God bless you Cecilia! I’ve seen an advance copy of the film, and it really is very good, as the archbishop says. If you go to the movie’s website, http://www.forgreaterglory.com, you’ll be able to locate theaters in Philly area playing it. There are about a dozen or more. My father, was a Cristero which is why I am an American. He was in the Seminary in Mexico when Calles came to power and committed his atrocities. Dad joined Anacleto Flores and others to give spiritual talks to the foot-soldiers. His mother, my grandmother, helped by winding cartridge belts around her middle and under her corset to deliver ammunition to the Cristeros in the hills. When Anacleto was caught and assassinated, the group he led disbanded with the words, (according to Dad) “every man for himself”. He boarded a train and fled to Nogales Arizona from Guadalajara Mexico. He did not pack and had only the clothes on his back. He settled here and eventually returned when things had settled somewhat. He married his sweetheart and brought her to Nogales. They were blessed with 10 children. He joined the Knights of Columbus and stated to whomever would listen that they were the only ones who sent help. The Freemasons were helping Calles, and the U.S. Ambassador to Mexico was of little or no help. Cecilia, your story needs to be told to many people. Do you live in the Philadelphia area? I would love to have you share your witness. Thank you for sharing! Hopefully this movie will come to a theater within driving distance of our home. If not, I will look forward to purchasing it on DVD at a later time. Thank you very much for allowing us this look into our Catholic history in a country so close to our own. This film is being played everywhere! So, if there is a theater within driving distance then you are set. It seems some strange rumors of a limited release have been spread. Blake Helgoth: It is NOT playing “everywhere”. According to Boxofficemojo.com, it is in 757 theaters; a typical Hollywood wide release is 3,000 theaters or more. I live in Morgantown, WV, and while we typically get the major Hollywood films, I am driving an hour and a half tomorrow to Pittsburgh to see “For Greater Glory”. It is NOT showing in Morgantown.